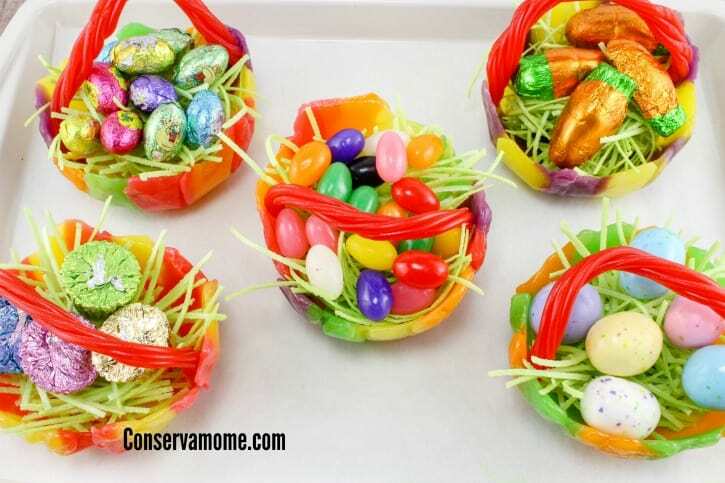 This fun Edible Easter Candy Baskets will be a fun way to give a little Easter cheer. Made out of edible treats this basket will be a hit wherever it goes. Easter & spring really are an amazing time to explore your creativity. There are so many great things one can come up with to capture the spirit of the season. For those that live in cold weather climate this season is especially exciting because everything is renewed again and what was once cold and dreary begins to show color and life. 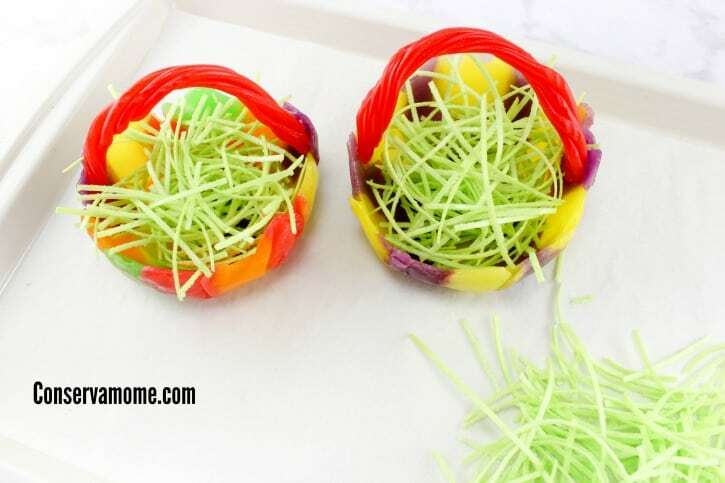 So that’s why this Easter Candy Baskets craft is such a fun craft because of all the bight colors and edible fun that make it a treat for everyone! Preheat oven to 300 degrees and line a baking sheet with parchment paper. Pull apart (all at once) about 4 pieces of the licorice. This will allow it to not be so heavy when adding it to the bowls later. 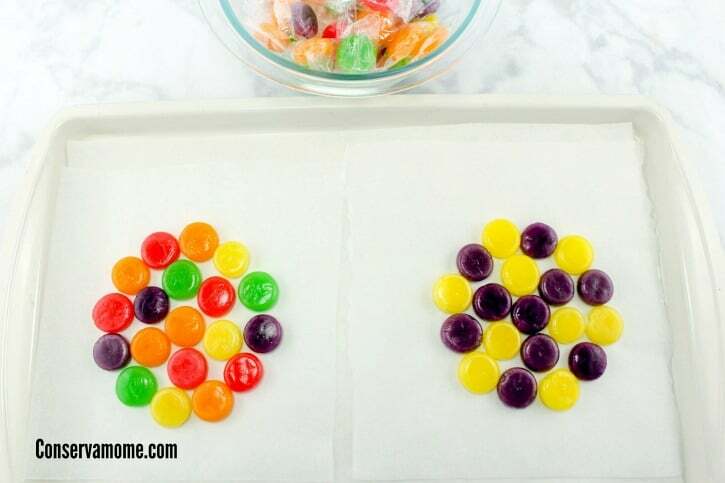 Arrange 19 candies in a circle on the baking sheet in color pattern of your choice. (Depending on size of baking sheet, 2 can be made at the same time but make sure they each have their own parchment paper). 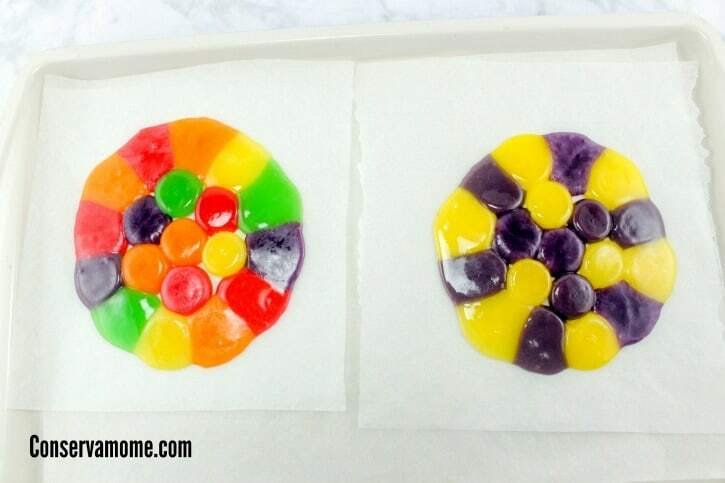 Bake for about 6-8 minutes, just until candies start to melt together a little bit. Do not let them get completely melted, the center pieces will not get as melted and that’s ok.
Lightly spray cooking spray on the bottom side of the small bowls. 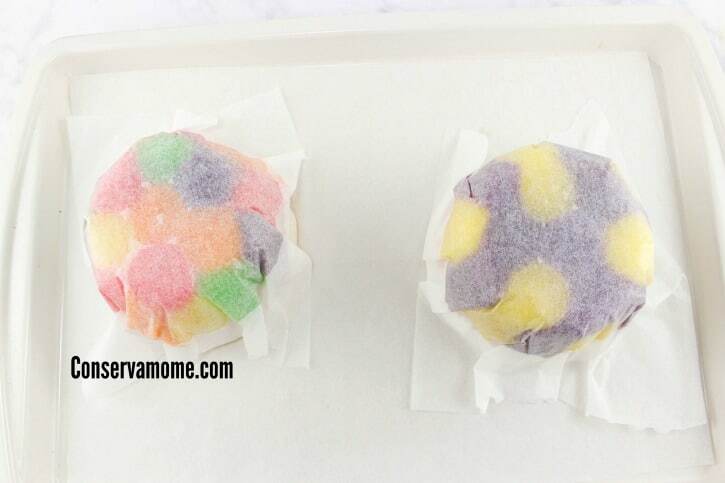 Remove the candy from oven and let sit for about 20 seconds, then flip the candy (with the parchment paper on) on top of the small bowl and press down the sides until tight around the bowl. Be careful the candy will be hot. 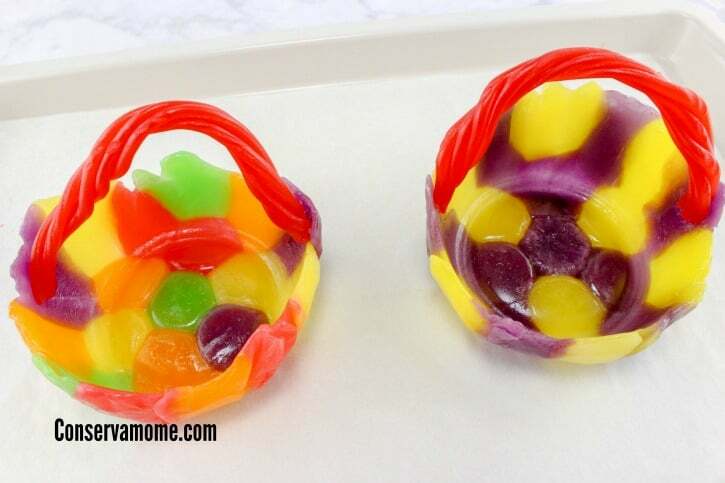 Turn the bowls over and gently twist and pull the candy off the bowl. Take a piece of the licorice and curve into a handle shape and press each end to the inside of the bowl. 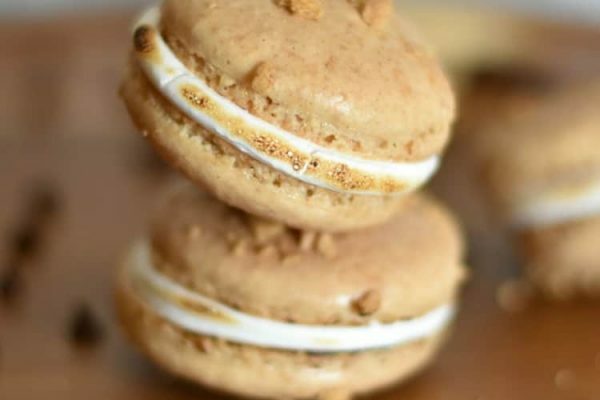 The warm candy will help adhere the licorice to the sides. 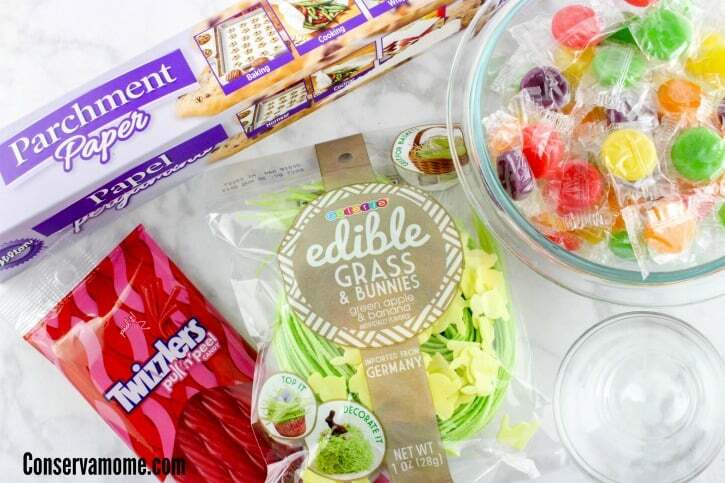 Fill with the edible grass and candy of your choice. 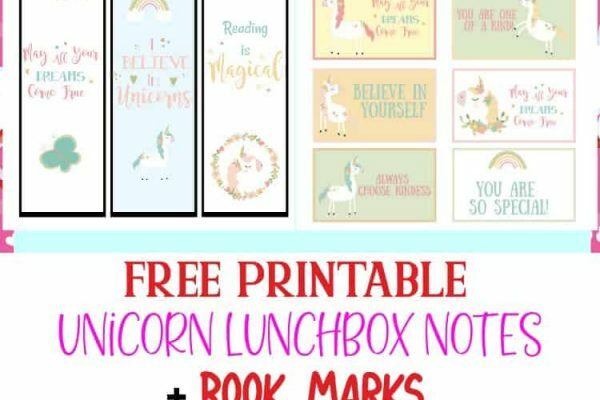 Looking for other fun Easter ideas? 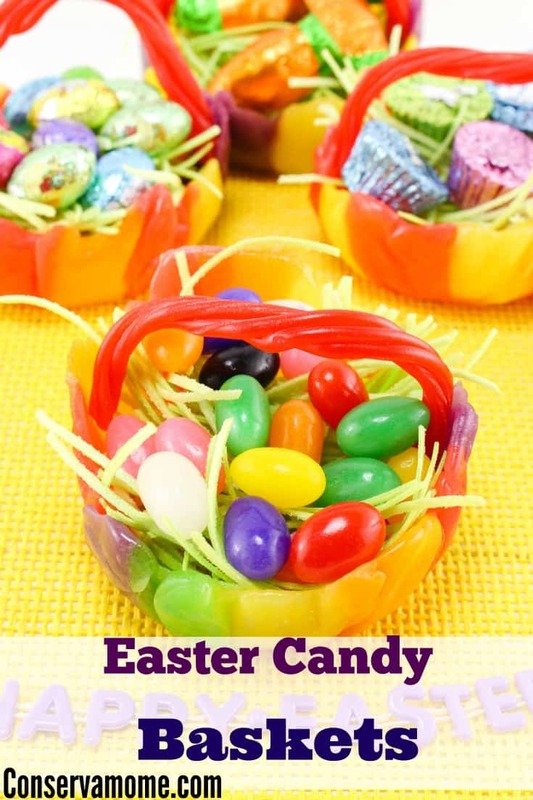 Check out these 20 Easter Treat ideas here. Elia is all about Conserving Mom's Time, Money & Sanity. 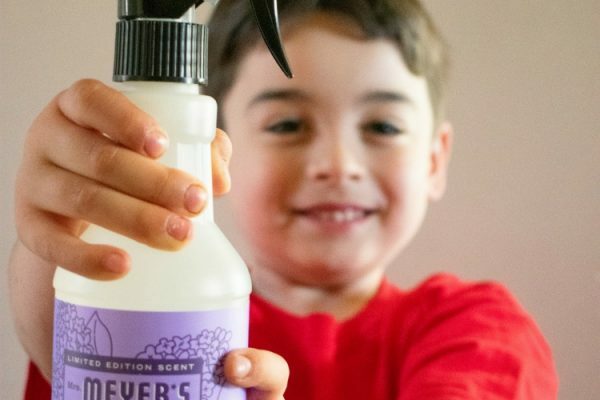 When she isn't going on the many adventures a Busy Mom of 6 goes on, you'll find her checking out the newest products for kids, family and home. 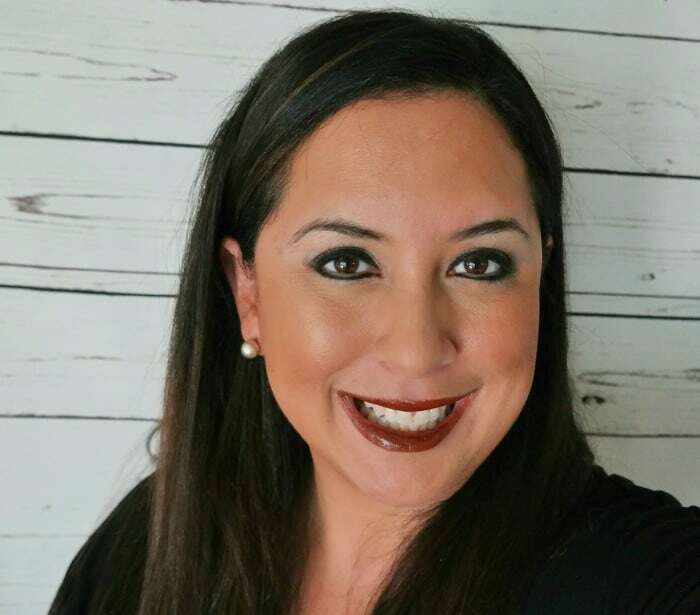 Follow her on her adventures as she raises 6 active kids, with a bit of Hispanic Flair, laughs,love and fun!